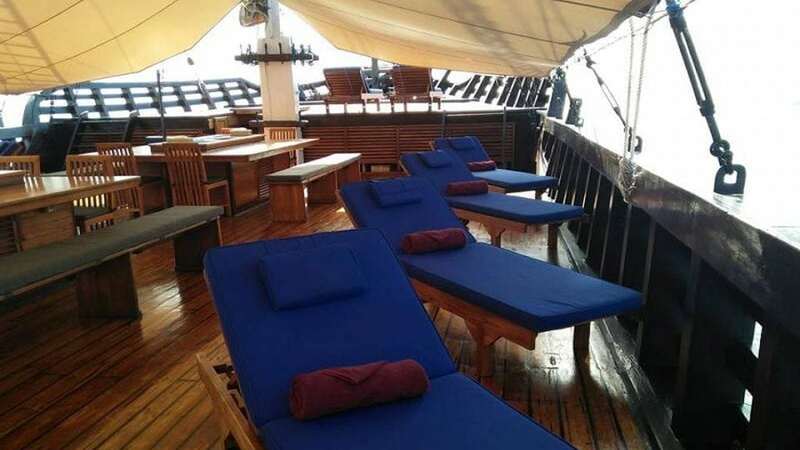 The MSV Amira Liveaboard offers dive cruises to the Komodo region, incredible Alor & Wetar, the fabulous Banda Sea, the Forgotten Islands of Tanimbar, Triton Bay and to Raja Ampat, the global centre of marine biodiversity. 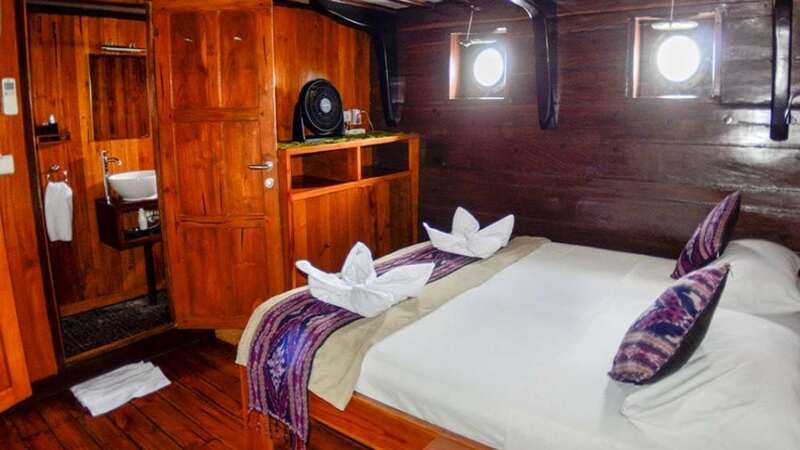 The Amira Liveaboard has an overall length of 52m (170ft) and is one of the liveaboards built in Sulawesi in traditional Phinisi style. 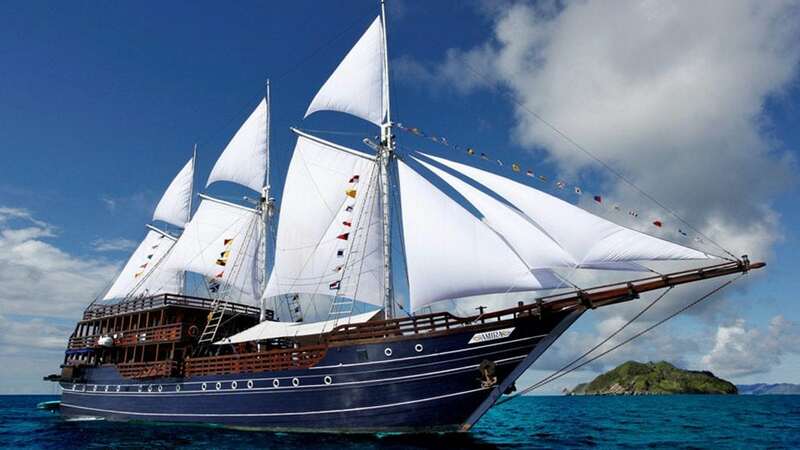 She has been sailing the Indonesian Archipelago since December 2010. Amira features accommodation for up to 19 dive guests in 5 double cabins on the lower deck (14m²), 1 single cabin on the lower deck (10m²) and 4 double cabins on the upper deck (13m²). All cabins have their own private shower and toilet facilities. 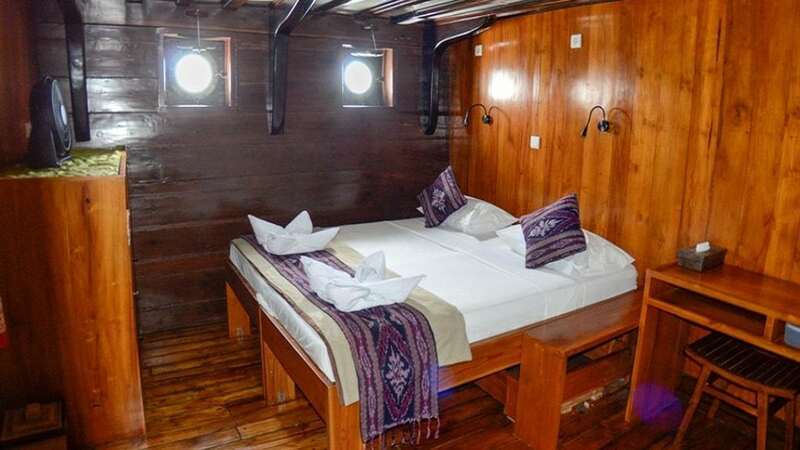 All double cabins can be set up as either twin or double bed cabins. 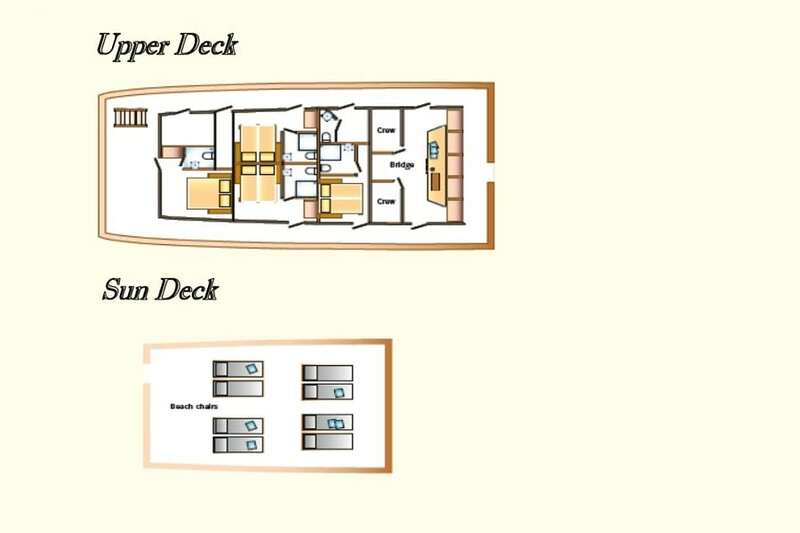 The 4 upper deck cabins (21, 23, 24, and 25) are air-conditioned and have several windows. 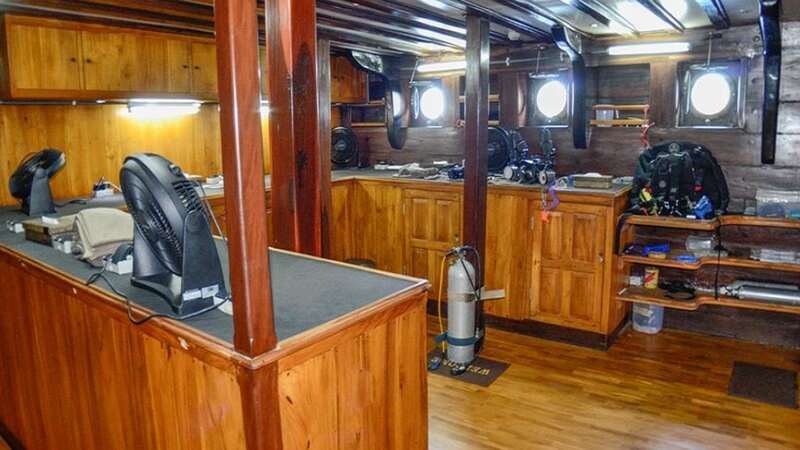 The wheelhouse and the captain’s quarters are also situated on the upper deck. 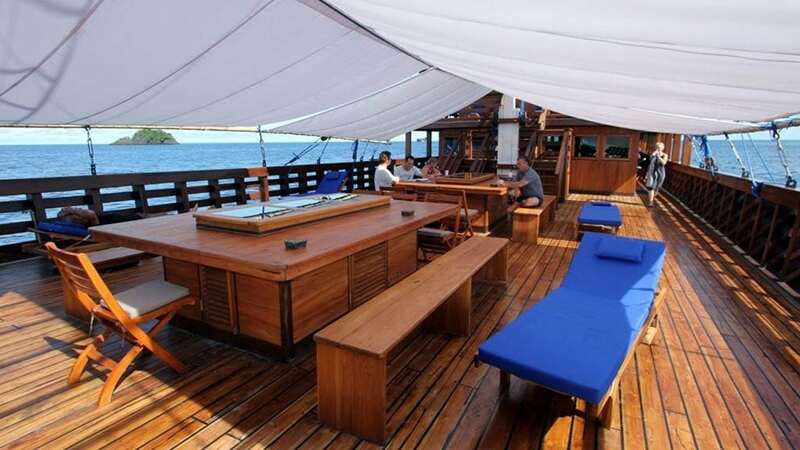 A large sundeck offers and an ideal place to sunbathe and relax. 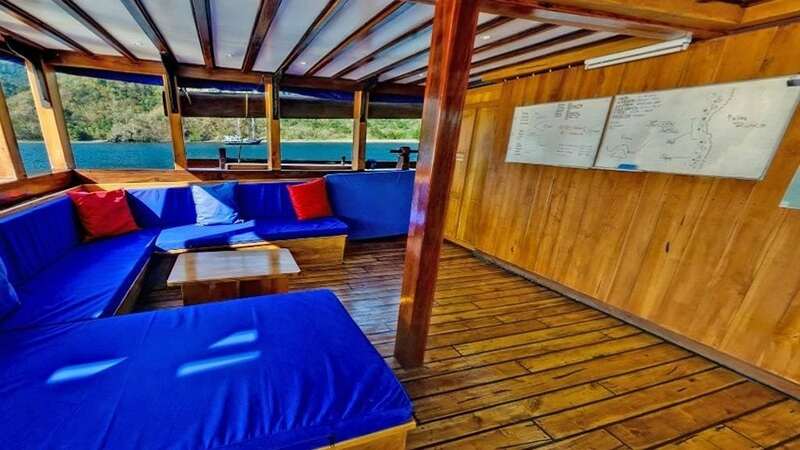 On the main deck, a comfortable, covered lounge invites you to relax between dives. 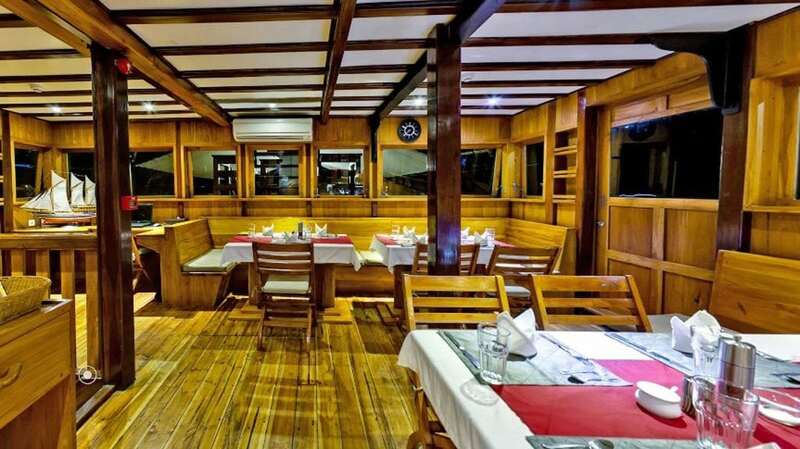 The restaurant comfortably seats 20 guests and has a comfortable TV and lounge area. There is also a coffee corner with espresso/cappuccino machine. The large front deck is equipped with deckchairs and a shade canopy for hot days. 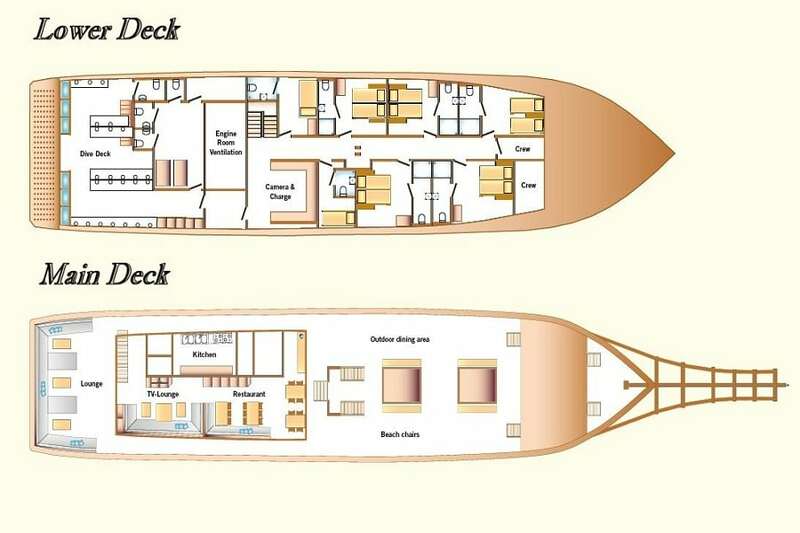 The lower deck houses cabin 11 (single), 14, 15, 16, 17 and 19, a camera room and the dive deck with dive platform which is covered for the convenience of the guests (and easy entry to dinghies) – and a highlight on the vessel. A regular dive day on the Amira consists of usually four dives (3 during day time, 1 at night). Exceptions may occur (e.g. first and last day of a trip, crossings, and unfavourable weather conditions). An extensive dive briefing takes place on the nature of each dive site before heading out to sea with the three dinghies. Every dinghy is equipped with a radio transmission system, emergency oxygen tanks and each diver wears an ENOS (electronic emergency & location system) homing device. 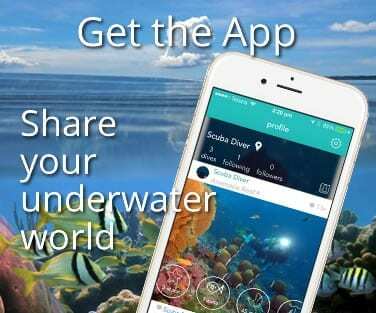 A carefully chosen and well trained dive guide is assigned to every group (4-5 divers). Nitrox and 15L tanks are available at additional cost. Two Poseidon Discovery MKVI are available for hire. 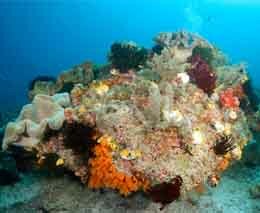 Alor – Every spring and autumn during the adventure dive tour, Amira visits dive sites on Alor and Flores, the snake island of Gunung Apu, Lucipara and Ambon. 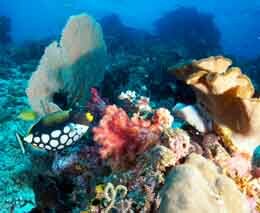 This trip is an extraordinary experience with many sea snakes and great muck diving. 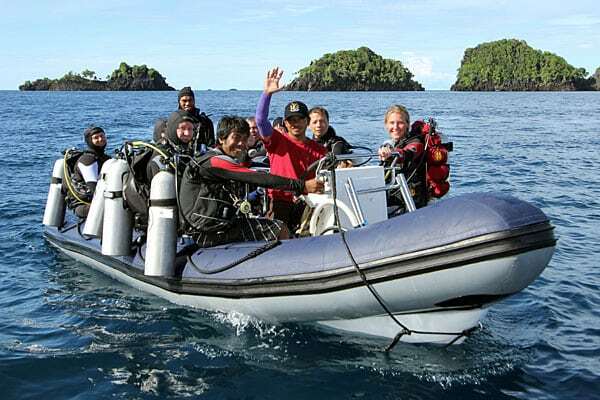 Banda Adventure –the attractions on this trip are the muck diving in Ambon, dives in the Banda islands which are steeped in history, as well as the corals and macro creatures at Misool. These cruises are on offer twice a year in May and October. 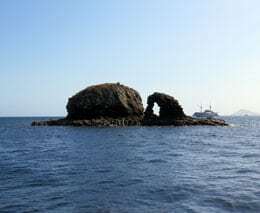 Komodo – Komodo is surely Indonesia’s most famous National Park. 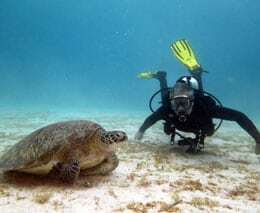 Besides a visit to the famous Komodo dragons during a land excursion, there are also a host of infamous dive sites. 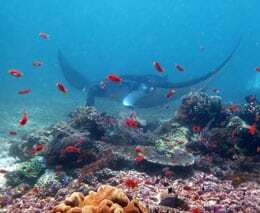 Long adventure – A longer cruise with the highlight being the diving in Raja Ampat (Kri as well as Misool), Triton Bay and the Banda-Sea (Koon and Ambon). 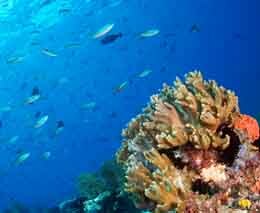 Raja Ampat – West-Papua is without a doubt Indonesia’s best dive area and one of the best dive destinations worldwide. All trips have been carefully chosen, planned and designed taking into account the experienced crew’s recommendation, seasonal and weather patterns, and a desire to offer guests great diversity. Many of the trips are in remote locations and neither mobile phone coverage nor internet service is available. This resort's prices are in EUR and USD. 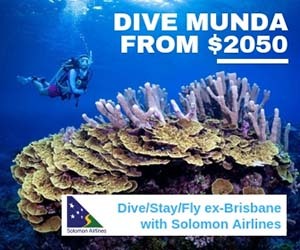 The AUD prices shown are based on the current exchange rate. The price paid in AUD will be based on the actual exchange rate at the time any payments are made. ALL ONBOARD purchases have to be paid in either INDONESIAN RUPIAH or via Credit Card (VISA and MC only ). Only CREW TIP can be paid with foreign currency.